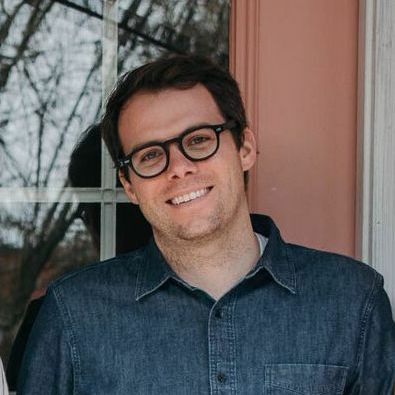 I’m Tim, and I couldn’t be happier to be EARN’s new Director of Research. I’ve spent my career working across sectors and industries turning data into insights, and in the last few years I’ve been focusing on how to use data to advance the financial health of America’s working families. I’m excited about EARN’s potential to help millions build savings, but also to advance knowledge and best practices around financial inclusion and financial health. This month’s Big Data on Small Savings report paints a clearer picture of what “income volatility” means for EARN’s Savers. A lot of research has been done in the field about fluctuations in monthly income for Americans. Pew released a study showing that in 2017 alone, income volatility affected 34% of American families, while Jonathan Morduch and Rachel Schneider’s book “The Financial Diaries” gave readers a glimpse into the lives of those affected by income volatility and highlighted the need for short-term savings. 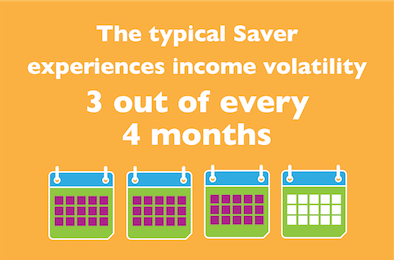 EARN took that research a bit further and uncovered a more drastic situation: 75% of our Savers are experiencing that same volatility in any given month. This kind of unpredictability makes it hard for families to plan for the future if they aren’t sure how much income they can count on. As you might expect, this unpredictability takes a toll. Savers report to EARN increased personal stress and tension in times of lower income. They’re not alone – 90% of Americans say that financial stability is more important than upward mobility. While our Savers are creative about bridging gaps in income to cover the low months, EARN is working on a new product to meet the needs of Savers with less consistent streams of income. A savings habit and financial cushion are critical to long-term financial health and we want to help working Americans achieve their financial goals, no matter how and when they earn income.